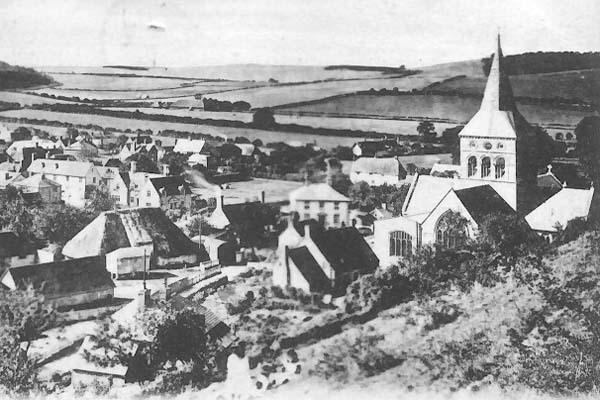 Engraving of All Saints and village from Park Hill. East Meon was a large and important Hundred/Parish until the 1840s; it included the tithings of Coombe, Riplington, Westbury, Bordean, Langrish, Ramsdean and Oenbourne, as well a Froxfield and Steep, with North and South Ambersham in Sussex. An extract from the Victoria County History, ’A History of Hampshire’, is attached as a PDF. An article on the importance of the Hundred Courts of Hampshire can be reached via the link below. A note by David Hopkins on the Extent and Economics of East Meon in 1086 is attached as a PDF.